The trend of male playback singing has changed quite significantly over the years. Gone are the days when singers were known as the voices of actors on screen. Kishore Kumar for Rajesh Khanna and Dev Anand, Mukesh for Raj Kapoor, Mohd Rafi for Shammi Kapoor, Dharmendra and so on. It was history when every second Bollywood popular song was sung by either Kumar Sanu or Udit Narayan. With the evolution of internet, the music industry was adversely impacted as the demand for music cassettes or CDs declined drastically. As a result, music directors are trying out new voices today with huge success. The long race horse is very difficult to determine but there are quite a few who have managed to grab the attention of avid listeners. Quality masters Sonu Nigam and Shaan have understandably become selective about their work. Also we get to hear voices of multi-talented guys like A.R. Rahman, Himesh Reshammiya, Farhan Akhtar, Vishal Dadlani, Adnan Sami, Lucky Ali, Daler Mehandi, Wajid and Shankar Mahadevan mostly in their own albums (movies) only. Atif Aslam, Benny Dayal, Kunal Ganjawala, Shahid Mallya, Shafqat Amanat Ali and Ash King have also been impressive in their outings and have shown a lot of promise. Trained by his legendary uncle, Nusrat Fateh Ali Khan, Rahat debuted with a masterpiece ‘Laagi tumse mann ki lagan’ from the movie Paap. There was no looking back since, as he has sung a number of unbelievably sweet renditions over the last few years. Some of my personal favorites are Main Jahaan Rahoon, Jiya Dhadak Dhadak, Jag Soona Soona Laage, Bol Na Halke Halke, Teri Ore, Tere Mast Mast Do Nain, Surili Akhiyon Wale, Teri Meri Prem Kahani and the list goes on. The songs have been loved, acclaimed and appreciated by one and all. He is, arguably, the most popular and loved voice of the generation. 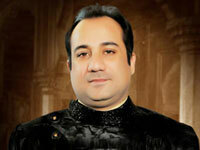 Hope to see a lot more of Rahat Fateh Ali Khan in the near future. 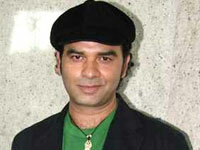 Mohit Chauhan created waves in the Indipop music with ‘Dooba Dooba’ of Silk Route band way back in 1998. It took him 9 years to wait for his mainstream Bollywood success with Tum Se Hi from Jab We Met. Since then his unique ‘dard bhari aawaaz’ has been heard in many famous romantic ballads. His chartbuster songs are Massakali, Pee Loon, Tujhe Bhula Diya, Kahin Na laage mann, Ye Dooriyan, Tune Jo Na kaha, Pehli Baar Mohabbat Ki hai, Phir Se Ud Chala, Sadda Haq and the most recent Saiyaara. The magic is expected to continue as he has some very exciting projects in the pipeline. KK has got arguably the most versatile voice amongst all the singers of this age. Just imagine, the voice of most recent ‘Laapata’ from Ek Tha Tiger is the same voice which we heard almost 13 years ago in ‘Tadap Tadap’ from Hum Dil De Chuke Sanam. He has given his silken touch to many classic and popular numbers like Sach Keh Raha hai Deewana, Tu Aashiqui hai, It’s the time to disco, Bas Ek Pal, Kya Mujhe Pyaar Hai, Alvida, Aankhon mein teri ajab si, Khuda Jaane, Dil Ibadat, Tu Hi Meri Shab Hai, Zindagi Do Pal Ki and many more. The freshness of the voice has remained the same during all these years. Commendable! With his unique, entertaining and energetic voice, Mika has belted out many chartbusters in Bollywood movies. His listeners are always dancing to his tracks irrespective of their age and nationality. Amongst a wide catalog of smash hits, the prominent ones remain Singh Is King , Mauja Hi Mauja, Ibn-e-Batuta, Dhanno, Dhin Chika, Desi Beat, Subah Hone Na De Pungi , Ganpat, Oye Lucky Lucky Oye, Dil Mein Baji Guitaar, Jugni, Ban Gaya Kutta and the recent hit Chinta ta Chita Chita. 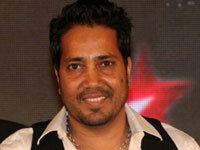 His success has made him one of the most sought after singers today. He is the lead vocalist of the rock group Bombay Vikings and became an household name with remix hits like Kya Soorat Hai, Woh Chali and Chod Do Aanchal. The super success of Hare Rama Hare Krishna from the movie Bhool Bhulaiyaa in 2007 made him one of the hottest male playback singers in the industry. 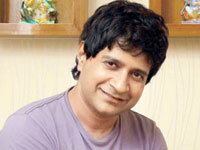 Since then he has given many hit dance numbers most of them composed by Pritam Chakraborty. His superhit numbers include Race Saanson ki, Love Mera Hit Hit, Aai Paapi, Soniyo, Chor Bazaari, Aahun Aahun, Twist, Character Dheela, Pappa Jag Jaayega, Pappa to Band Bajaye, Jhak Maar ke, Prem Ki Naiyya and the most recent Tumhi Ho Bandhu from Cocktail. So tell us, who’s the most popular voice of today. Vote Now! Juhi Chawla with Sanjay Dutt after 13 years in Son Of Sardar! KK and Mohit chuhaan rocks!! Sonu Nigam was,is and will be the BEST!! Bollywood music is incomplete without UDIT NARAYAN…you just can’t count how many memorable songs he has sung..
My personal favourites r Sonu Nigam, Javed Ali & Shaan. 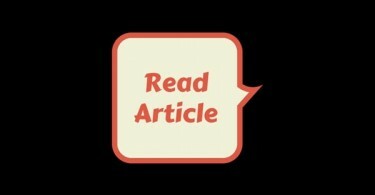 plz add top 5 bollywood female playback singers. Today Rahat, Mohit and KK are the best male singers but still Sonu Nigam is better than them. 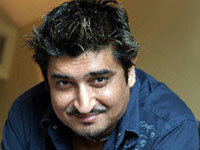 Khailash Kher is my favourite!!!!!!!!!!!!!!!!!!!!!!!!!!!!!! !